Last edited by bestboylol; Aug 6, 2016 at 07:51 PM..
Hey, i'am do first post And please, change you'r sugnature, here your clan is Skillz. WHY I WANT TO JOIN CLAN: I want to make more friends, play with my new friends, and have fun with my new friends im always online and always logged into Skype. HOW I CAN HELP THE CLAN: I can help in clan wars im useful, helpful, competitive, and nice. and u can always count on me to help. 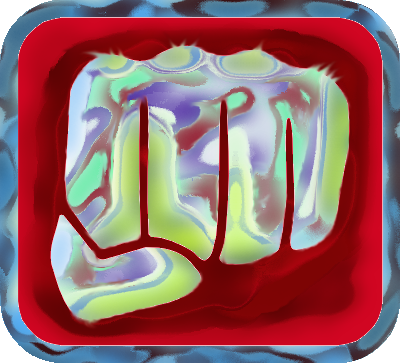 Fav Mod: judo, wushu, boxing, wrestling, Table_Brawl.tbm, break dancing mod.tbm, 000swords_rotating.tbm. Bio: My name Is sergio A and I'm from idaho, I like music, I Have decent interest to videogames, I'm 5'7, dark hair, I wear slightly baggy clothing, born 4/4/2001. Decent but quiet person. Good sense of humor. and I like youtube videos. (toribash bio): When I started as white belt to brown It was the most epic moments for me in toribash, As soon as I became black belt I've joined ywc (yes we cannabis) because I wanted to challenge cripplz. but the clan died out so I joined tekken, I had more fun in tekken and I got to compete a lot and improve. But I was gone for a while and... tekken died, but as soon as I came back I've found bestboy (a fun buddy from ywc to tekken etc.) and so I wish to join. Why I wish to join: I want to help Improve my skills and I noticed that members from this clan are really good, and I thought "I need new buddies, need a new feel to myself, new everything!" and so I'm Here, But I also wish to be as good as bestboy so I can feel more comparable to him and wish to have matches with him without feeling like a complete low rank, And I want to be A legend that I should earn myself to be. How I can be Helpful: Possibly useful for clan wars, sparing, I can make logo designs or something or edit images for the clan, Can be nice to have around, and I Can be the joy of the moment (like a jester). I can be the bank, and I can donate tc, and help win tournaments, recruiter. Last edited by swarmhawk; Feb 12, 2016 at 02:43 PM..
Last edited by parodax; Feb 12, 2016 at 02:47 PM..
How I can be Helpful: Possibly useful for clan wars, sparing, I can make logo designs or something or edit images for the clan, Can be nice to have around, and I Can be the joy of the moment (like a jester). I can be the bank, and I can donate tc. Aw thanks ^-^, Glad to know you're in this group!